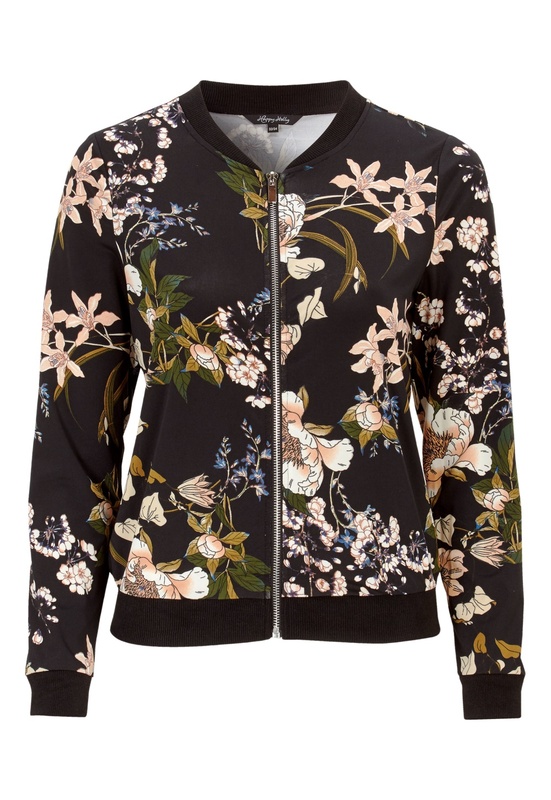 Lovely bomber jacket in creaseless tricot from HAPPY HOLLY. 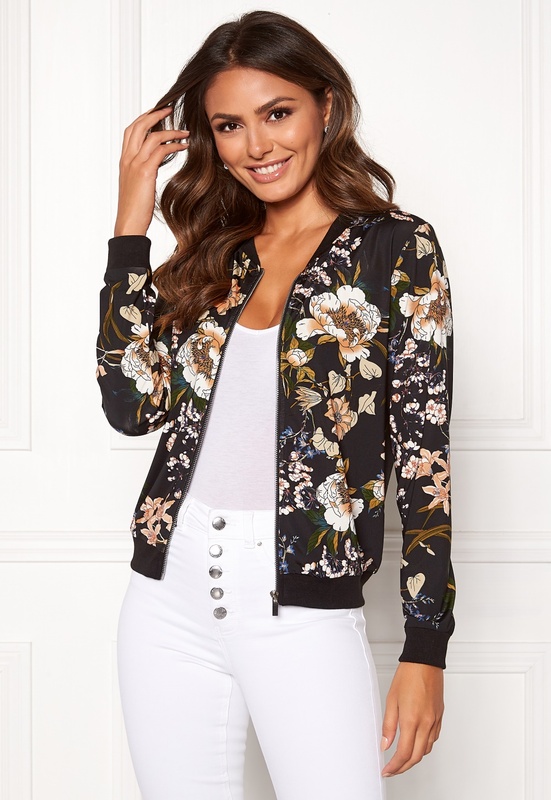 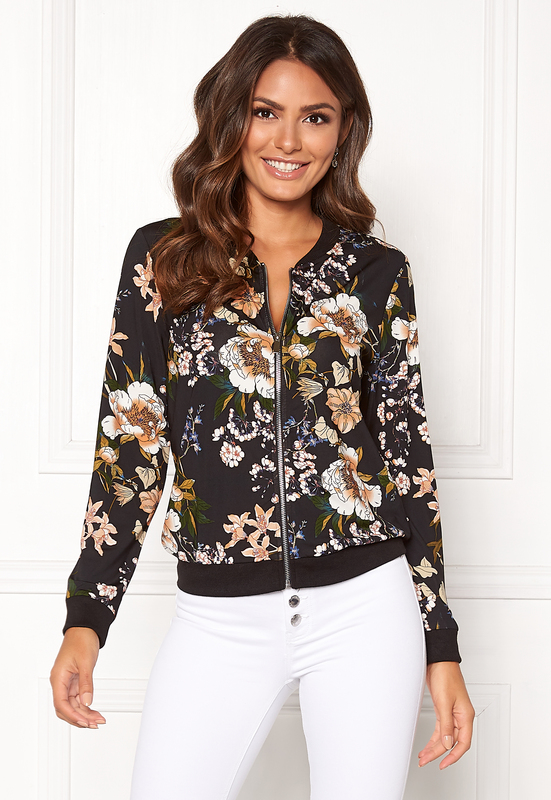 The jacket has a beautiful floral print and an attractive shimmer. 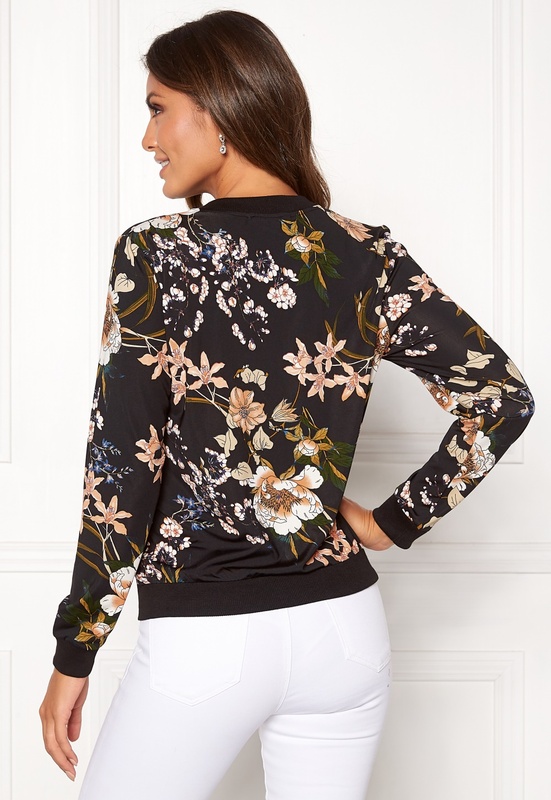 Length from shoulder 58 cm, bust 98 cm in size 36/38.